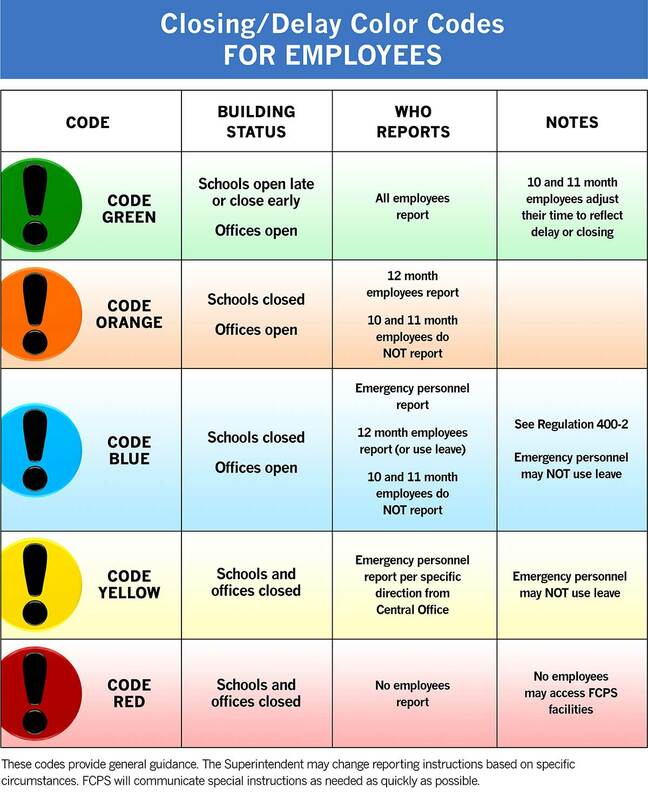 2nd UPDATE: Status change for staff to Code BLUE. Following the 2-hour delay announced earlier, Frederick County MD public schools are CLOSED Tuesday, February 12 due to the weather. All offices are open. Employees on the 12 month calendar are scheduled to work; however the liberal leave policy is in effect. UPDATE Following the 2-hour delay announced earlier, Frederick County MD public schools are CLOSED Tuesday, February 12 due to the weather. All offices are open. Employees on the 12 month calendar are scheduled to work. Debido al tiempo inclemente, las escuelas estan cerradas. Todas las oficinas estan abiertas. Los empleados en regimen del calendario de 12 meses deberan presentarse a trabajar. Frederick County MD public schools will open 2 hours late Tuesday, February 12 with re-evaluation by 7 AM. Morning PreK* and Career and Technology Center (CTC) start 2 hours late and dismiss 1 hour later than usual. PM PreK* starts 1 hour later than usual and dismisses at the regular time. PM CTC starts 40 minutes later than usual and dismisses at the regular time.